Halfway Through Whole30 UPDATE + Favorite Recipes! Whole30 is a 30-day eating program created by Melissa and Dallas Hartwig that is intended to help people feel better, figure out what foods aren’t agreeing with them, and heal their relationship with food. It’s like Paleo, but stricter. I have been experiencing bloating for a long, long time. Even before I started eating healthy and exercising and before I even knew that it was, in fact, bloat and not fat. I would often wake up in the morning with a very flat belly, and after certain meals it would just balloon up, sometimes to the point of pain. It hasn’t been as bad recently but I have also had other symptoms that I really wanted to just figure out. I’d been toying with the idea of doing an elimination diet for a while, and I decided that after our road trip and after the beginning of the school year (cue routines and packed lunches) would be a good time to start. I considered all sorts of different plans: This one from Precision Nutrition, a low-FODMAP plan, and the Whole30. I actually went back and forth for a really long time, but finally decided that I needed to just pick one and that if it didn’t help, I could just try a different one. While other people might do Whole30 to heal their relationship with food, that wasn’t one of my main motivations, but I certainly found the concept interesting. No smoothie, no pancakes, no healthy cookies? No CHOCOLATE?? 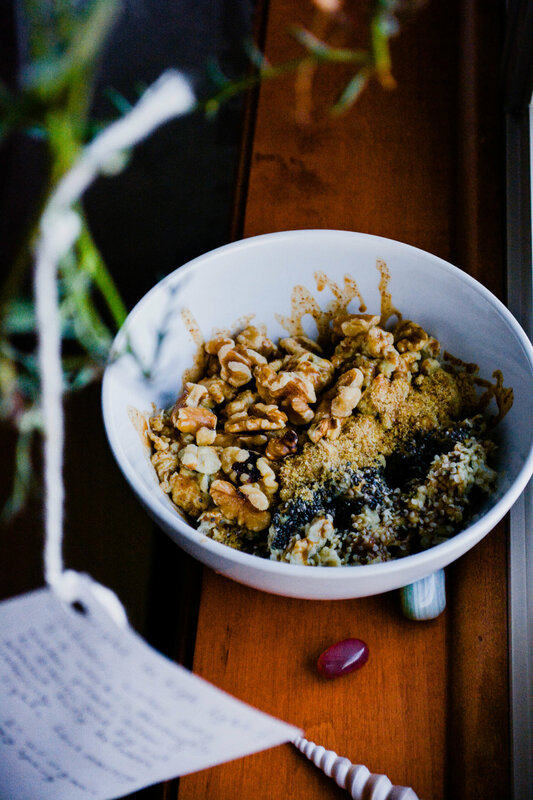 These were foods that were common in my routine, but I wanted to see if I could break those habits and learn to enjoy a wider variety. 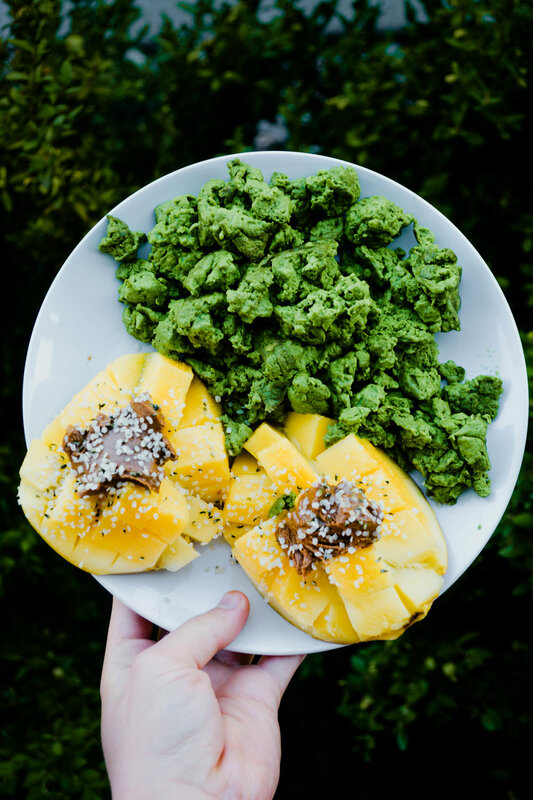 I wanted to see if I could learn to love savory breakfasts instead of waking up craving grains and sugar. 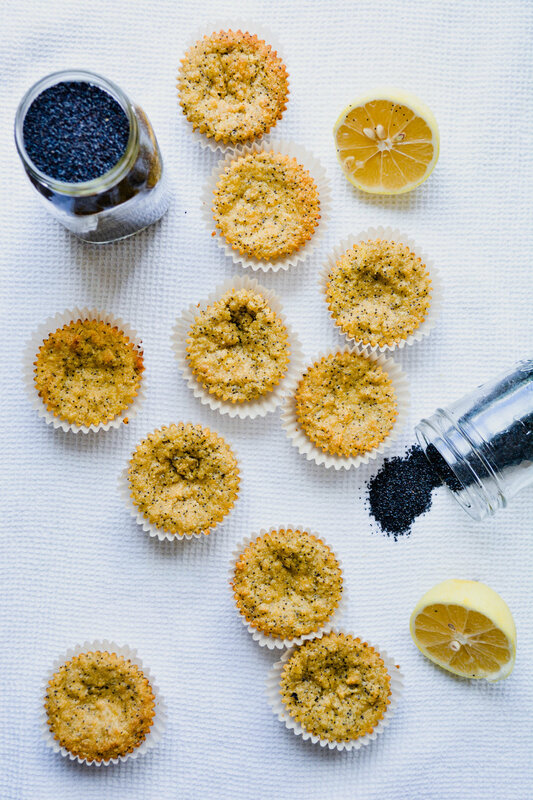 Although healthy and really freaking delicious, these lemon poppyseed muffins were out not only because they contained honey, but because healthy recreations of generally unhealthy foods are not allowed during a Whole30. What am I not eating? In a nutshell, no added sugar or artificial sweeteners, alcohol, grains, legumes, or dairy. But also no healthy versions of foods, so no healthy cookies, muffins, pancakes, nice cream, cauliflower pizzas, etc. Meal planning has been helpful, especially for the first week. I made a calendar for the week, found and saved a load of recipes, and wrote out a shopping list. I did less meal planning the second week, and probably will do even less for this upcoming third week. That’s just how my family works. Sometimes we like to just pick up some salmon and greens at the store, make a salad, roast some sweet potatoes, and call it a meal. Easy and delicious. So while it’s fun to make those cool recipes sometimes, I’ve also learned that I don’t need to do that 7 days a week. Another immensely helpful thing has been to cut, prep, and freeze food that I may not have a recipe in mind for, but know I could use eventually. So I’ve been cubing and roasting sweet potato and butternut squash, chopping up broccoli florets, preparing spaghetti squash, and making big bags of cauliflower rice. I would say that my consumption of three specific foods has skyrocketed: mushrooms, avocado, and almond butter. I’d love to say that I never get bloated anymore, that my brain fog is nonexistent, that my eczema has disappeared completely, and that my skin is clear (and that my crops are thriving, my grades are up, I have 20/20 vision, and the sun is shining *wink wink*). It hasn’t been that amazing, but it has been better. I definitely have been having less bloating, and especially after breakfast. Emotionally, I’ve been doing fine. I haven’t really had any bizarrely sad days (which used to happen sometimes) and my mood has been fairly stable (except for right before my period, haha) so I’m going to take that as a good sign. I’ve been using this app called Cara to track what I eat, how much I sleep, how bloated I feel, my mood, and my poop (sorry if TMI). It has really helpful features that help you discover correlations. For example, I haven’t been using it super long but it has already told me that when I am somewhat stressed, my symptom score is more than 100% worse than on days when I am a little stressed. Crazy! I've been paying more attention and I’ve noticed that when I leave school I feel bloated and tired. Which signals to me that it's not all food and that it's time to start focusing more on the mindfulness. One of the biggest challenges with Whole30 is not the preparation or the rules, but yourself. I sure have had days, especially in the middle of the second week, when cravings have hit. I’d be scrolling through Instagram and I’d see a gorgeous bowl of oatmeal with chocolate melted into it. Or perhaps a colorful salad with quinoa and feta cheese *drools*. Plus, my family isn’t doing Whole30, so our fridge is still stocked with all of those goodies that I was merrily eating a mere two weeks ago. Last Sunday when we were watching a movie my dad brought down this healthy-ish frozen pizza that we make sometimes. It was my favorite kind - the tomato mozzarella. The pizza was warm, the cheese was gooey, and the smell was intense. When I reminded him that I couldn’t eat it, he said “You can’t eat pizza? Why, the dairy?” I replied “Yes, and the crust, it’s grains.” “Really, that counts, too?” *face palm*. That said, I’ve been holding it together pretty well. I only cheated once that I know of for sure. It was day one and I was trying this face wash recipe with honey. After I poured from the honey jar, I licked off some that was running down the side so that it wouldn’t be sticky, and then I realized. GASP. Now, I’d like to share with you some of the recipes that have gotten me this far. Lunch and Dinner are one and the same for me because my lunch is always leftovers of last night’s dinner, so that’s why they’re one category. Hope this helps! One of my favorite recipe-free breakfasts has also been to just make an omelette/scramble by throwing some veggies and eggs into a pan! So, that was a long post! But I hope that in it you found something useful - whether you were looking for a yummy recipe, an honest story, or inspiration to do your own Whole30. Have you ever done Whole30 or considered doing it? How’d it go? Or, why do you want to do it?